Providing the karting community ample time to plan and put together their race programs for the 2019 season, ROK Cup Promotions and ROK Cup USA are pleased to announce their much-anticipated 2019 race dates. 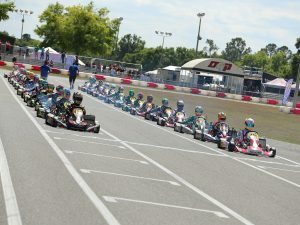 With the season once again beginning in the Sunshine State with the annual ROK Cup Promotions Florida Winter Tour, the ROK Fest program will continue through the summer months before the 2019 season closes with the second annual ROK the RIO event at the RIO All-Suites Hotel and Casino in Las Vegas, Nevada. 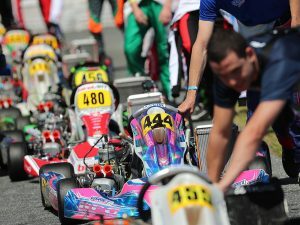 The historic winter karting program will kick off in January and run through to the end of March with one event per month. Kicking off the Florida Winter Tour January 17-20, the second event weekend will take place February 14-17 with the series concluding on the weekend of March 21-24. Undergoing significant changes in 2018, the ROK Fest events were well received and the same is anticipated for 2019. The first of two race weekends will begin with the May 30-June 2 dates and finish August 15-18. The program will once again run each weekend as one-off events and distribute awards at both rounds with ROK International Final tickets available to racers that run both rounds. The final ROK Cup Promotions event of 2019 will be the second annual ROK the RIO event at the RIO All Suites Hotel and Casino in Las Vegas, Nevada. Once again taking place over Halloween, the event will be open to ROKKERs from around the world. Please stay tuned for more details on the 2019 Vortex ROK / ROK Cup USA racing program including locations, prize fund and exciting new developments.